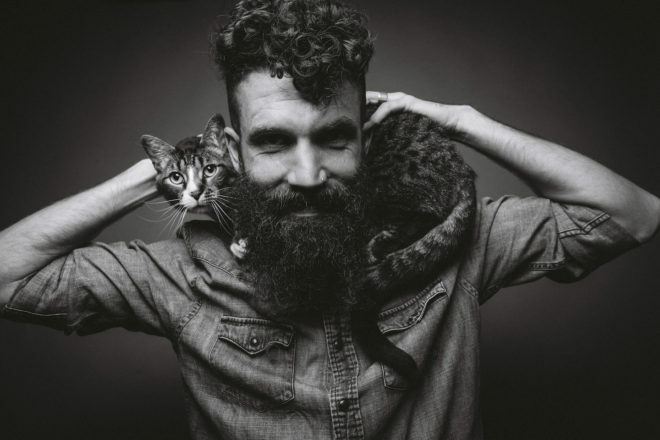 Ben Benford will perform at the Lost Moth Gallery (perhaps without the cat) on March 24. Ben Bedford will perform songs off his new CD, The Hermit’s Spy Glass, at the Lost Moth Gallery on March 24, 7 pm. Bedford has established himself as a songwriter in the musical-icon tradition that includes Bill Morrissey and Woody Guthrie, dipping into classic American literature and writing with the “old soul” quality of his literary idols, such as John Steinbeck and Toni Morrison. Bedford has performed his songs for audiences all over the United States, and his music has received extensive airplay on folk and roots radio stations in the U.S. and Europe. He was named one of the six Grassy Hill Kerrville New Folk winners at the Kerrville Folk Festival in Texas in May of 2018. Tickets are $20 at the door of the Lost Moth Gallery, 7975 Hwy 42 in Egg Harbor. Call 920.495.2928 to make a reservation, and learn more at lostmothgallery.com.